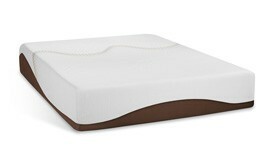 By conforming to your body at your pressure points, memory foam alleviates stress and pain you collect during the day. 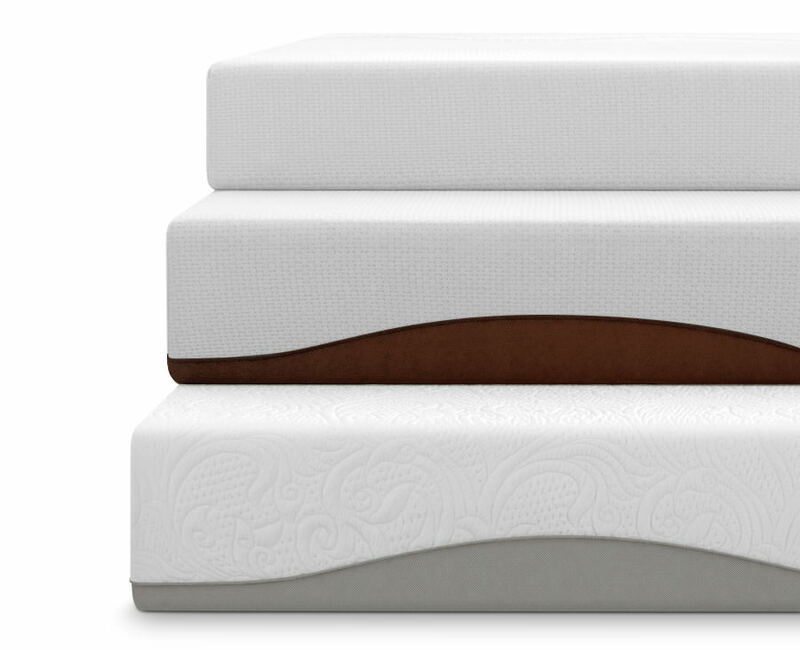 When choosing a memory foam mattress, it is important to consider what mattress will provide the proper pressure relief and support for your weight, sleeping positions, and chronic pains. Certain chronic pains make sleeping a challenge. If you suffer from hip or shoulder pain purchasing a mattress with more pressure relief will help to relieve these pains. If your back bothers you from day to day, consider upgrading to a mattress that is more supportive to ensure that your back doesn’t move into an uncomfortable position. After getting a new memory foam mattress it takes time for your body to become accustomed to the proper support and pressure relief that it provides. This adjustment period varies anywhere from two to four weeks. When purchasing a mattress, make sure that the company’s return policy allows you to fully become accustomed to your new mattress. When memory foam mattresses first came on the market, they were prohibitively expensive. 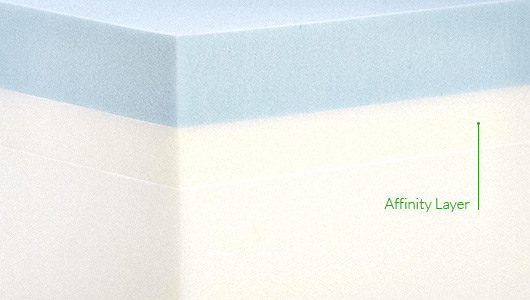 Now, thanks to direct-to-consumer shipping, you won’t have to worry about retail markups and be able to order an affordable memory foam mattress straight to your house. 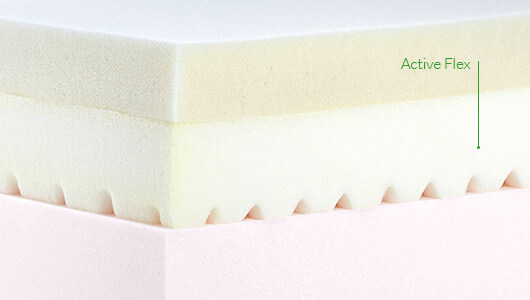 Health benefits of memory foam mattress. 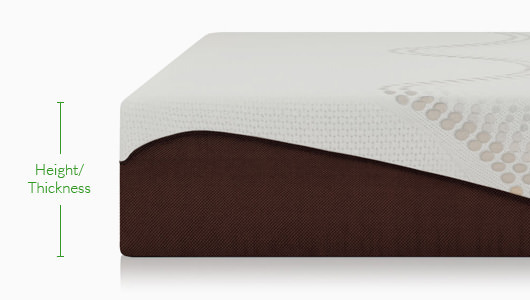 Memory foam mattress are known to help relieve pain and pressure points on the body remarkably well. 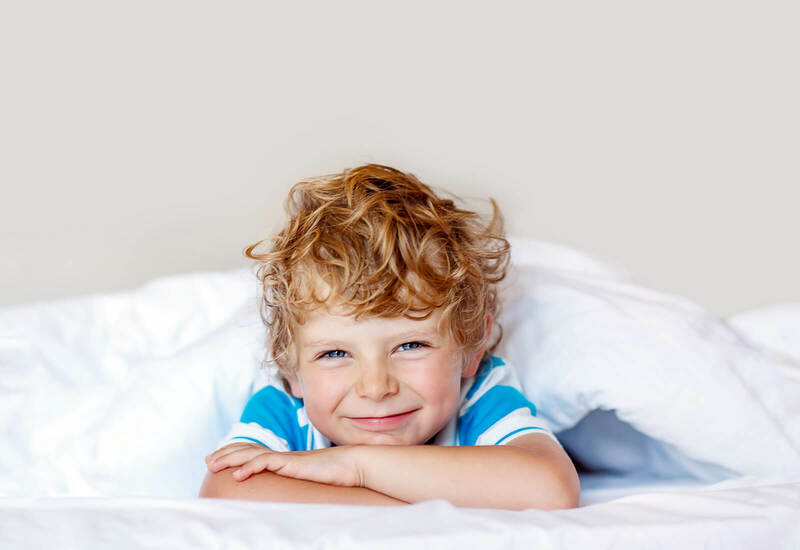 Memory foam is also anti-microbial dust mite and bed bug resistant, so your bed won’t become a trap for allergens. Sleeping on memory foam will help keep you from tossing and and turning. You’ll sleep better than ever and feel rejuvenated right when you wake up in the morning. A box spring will work with your Amerisleep mattress by placing a 2cm piece of moisture resistant plywood on top of your box spring. When using a slatted foundation, we require that your slats are no more than 8cm apart and at least 1.5cm tall. 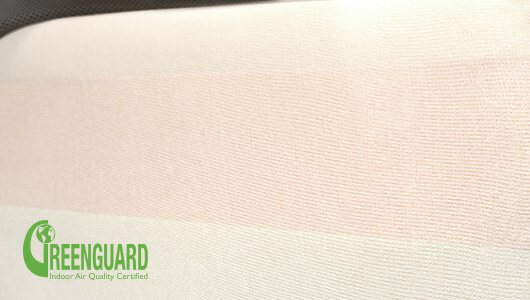 This smart fabric uses thermoreactive yarn to transform your body heat into healing, infrared light. Celliant® is clinically proven to help people fall asleep faster. You’ll get deeper sleep when resting on Celliant® to help heal aches and pains and improve energy levels during the day. 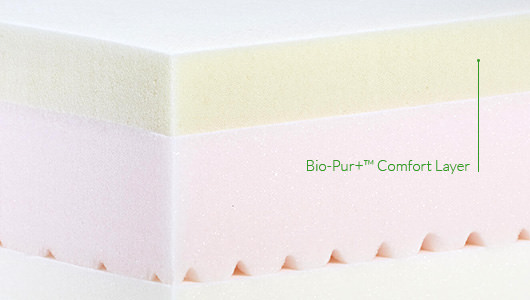 Our advanced, extreme open-cell memory foam Bio-Pur+™ features conforming comfort and is 70% more breathable than Bio-Pur™. 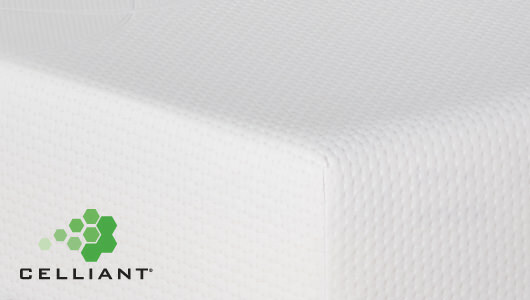 This plant-based memory foam is designed to work in high-profile mattresses that require the most efficient air circulation. 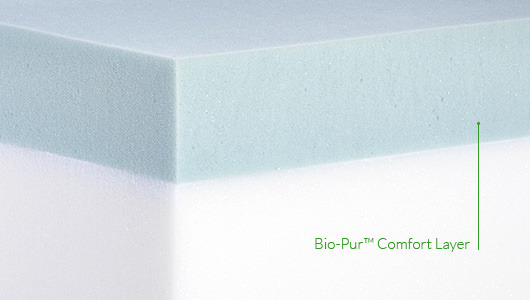 Bio-Pur+™ goes through an additional reticulation process unlike other memory foam that frees more space for air to circulate inside the foam. 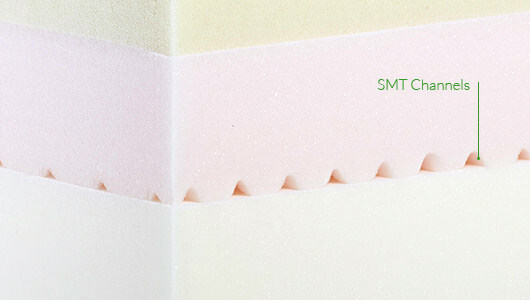 Surface Modification Technology (SMT) shapes precise channels into the foam. These channels provide additional areas for heat and moisture to escape away from your body. They also create zones of pressure relief for your pain points. 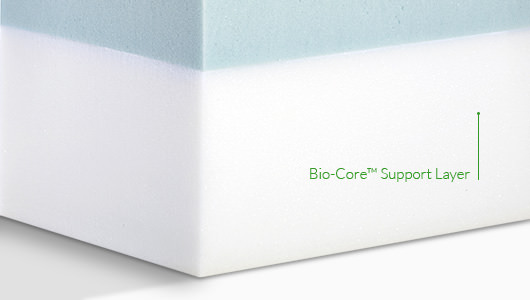 Bio-Core is the base support of our mattresses. It works at the bottom of the mattress to keep your hips and shoulders in natural alignment to alleviate pain from sleeping. The bed came in record time. Very comfortable and retains shape. I loved the feel of the bed but I am more keen to a "squishier" bed so I am still adjusting to it. I thought the AS3 was a good midrange but I think I would've liked the AS2 better because I really like the softer mattress. The mattress quality is good. It is not a medium mattress though, it is definitely firm. The comfort guarantee is not easy to claim. This seems to be a great product so far. My husband has back pain and I have osteoarthritis and we sleep great every night. It was really heavy when it arrived but we managed to muscle it into the house. Well worth the money. This mattress is great once you get past the break in period. 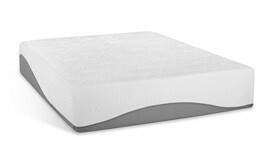 We were use to a traditional mattress and it took us a good 1 to 1 1/2 months to love this memory foam mattress. Hence the four star review. So glad we were patient and gave it time because now we would never go back to the old mattress. I have owned a queen tempurpedic for 18 years. We recently moved to a king and have tried several mattress brands. The Amerisleep is by far the best we have tried. It sleeps better than our tempurpedic for a fraction of the price! My wife has a bad back so we needed a very firm mattress. 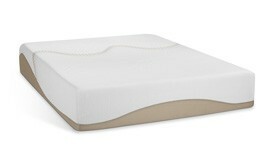 Our temperpedic was sagging and had to go so we bought a very nice split king mattress but it was just not firm enough. We saw Amerisleep and took a chance. No more back pain - we are amazed but love it. Would highly recommend. We had purchased a mattress two years ago from one of your competitors (also a USA-based business) which, after less than a year, began to sag, lose its firmness, and made for very uncomfortable sleeping. It was only after we both began to talk about aching all over after a night's sleep that we began to suspect the mattress. Now we are thrilled with our Americasleep mattress and often comment on how glad we are to have purchased it. We were looking for matteress es which would work for both my husband and I. Instead of buying king size, we went for two extra long twins with frames, and that was the best thing we'd ever done! Mattress is nice and firm yet not too firm, keeping it's shape with no indentation (so far). We had Casper before this, and this has much better support overall. Only reason why I put 4 instead of 5 is, mattress keeps the heat ... Much cooler than most memory foam mattress but still retains quite a bit of heat. Other than that, super product, and we definitely buy them again when the time comes. love our new mattress! it's exactly what we wanted king size firm mattress. My wife and I use this as our bed. We replaced the 3 year old sealy posturepedic we had previously. The bed is firm, supportive and very comfortable. Our quality of sleep has improved and along with how we feel in the morning. After 3 months we are extremely satisfied. Best mattress ever!! Highly recommend. My wife and I bought this mattress to replace a softer pillow top mattress. My wife was having back problems with our older bed and needed something that was more supportive, and this bed fit the bill. The mattress is firmer than either of us thought it would be, but very comfortable and supportive. The edge support is great and goes all the way to the edges of the bed, there is very minimal compression difference from the edges of the bed to the middle, which is great when putting on shoes. 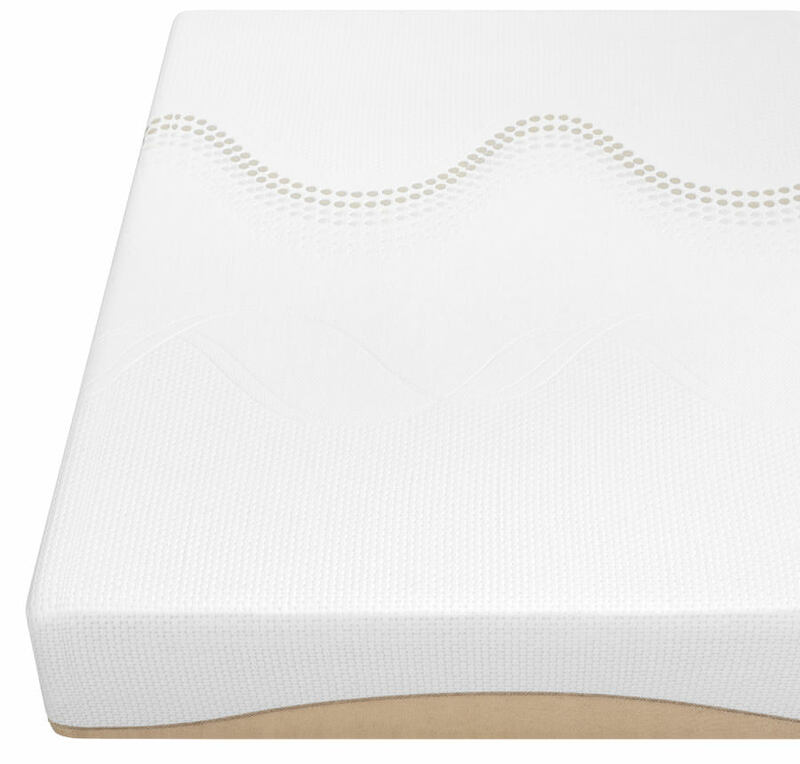 It did take us about 2 weeks to get use to the change in firmness, our other bed was extremely soft, but since then it has been great and my wife's back pain has been drastically reduced. I highly recommend this bed if you are looking for a very supportive mattress. We like the mattress a lot and use it on a daily basis. 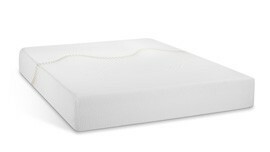 It has improved our sleep and is very supportive / does not get the divits like other mattress but still conforms to our shape. It can run a little hot due to the material but this is easy to combat. Different from other memory foams in that it's soft enough but very firm, with minimal "bounce back"
This is my primary bed. It's really comfortable, doesn't make any noise and is great for not disturbing my wife when I get out of bed early. Best customer service I have ever! I slept with this bed from day one, and I love!!! The day I recieved this mattress until now. I never have back pain or any problem with sleeping problem. I recommend this mattress to anyone who is looking for a best mattress. The bed is better than I expected and everything I wanted at the same time. I mean granted I haven't had the pleasure of sleeping on a variety of mattresses, but when friends come to visit or I have people in my bed (since I have yet to get much other furniture), people always say how comfortable it is. Bought this mattress because my husband found it was highly rated for back pain. I'm a side sleeper so I was a little nervous the AS2 would be too firm, but it's been great for both of us. Finally a great night of sleep. Finally a great night of sleep. Very comfortable. I wish I would have bought one sooner. Quality and craftsmanship are great. Thanks Amerisleep. I have an AS4 King.The only reason I give this bed 4 stars is because it is not as soft as I was expecting, but otherwise it has been a quality bed. I was used to a Serta Icomfort, but we got a new bed because the bed started to sag very early on and we are not overweight people. With the AS4, my husband and I do not notice each other getting out of bed, do not have trouble keeping sheets on, and do not sink down like we did in our other bed. It has been an adjustment to increased firmness for us with this bed, but it's not uncomfortable and I think it will help in it's longevity down the road. Would look for a softer model than the one we got for side sleepers. We thought it would be the softest. Not sure if there is a softer version. I am glad I chose this mattress! The mattress is on my bed and I am glad to have it. This was comfortable and offered good support. My biggest issue was that the edges were so soft that I felt I would roll out of bed if I got too close to the edge. I felt I needed a bigger bed in order to not have to sleep so close to the edge. We recently purchased this bed so it is new for us but really good experience so far! Fantastic bed. My husband and I love it! No more neck or back pain. I never knew how much a mattress affected our sleep until we received our Amerisleep mattress. We sleep SO good now and feel rested when we wake up!! I wasn't sleeping for months! My hip pain was so bad. I started searching for a solution and after much research, we landed on Amerisleep as our choice for the split King. After a couple of nights, my hip pain was completely gone. After a week, I felt like a new person because I was getting my proper rest.! Thank you! I had an older memory foam mattress and used to always have a disturbed nights sleep. After a couple of weeks getting used to the AS4 I sleep right through the night. Great comfort and support. What should I expect to pay for a memory foam mattress? 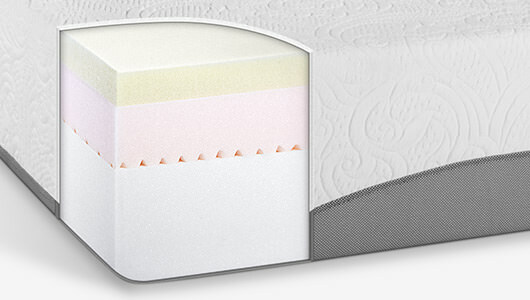 If you suffer from chronic allergies a memory foam mattress is great to sleep on. Because of its resistance to dust mites and common allergens, memory foam will stay clean and won't affect your allergies. How do I clean a memory foam mattress?